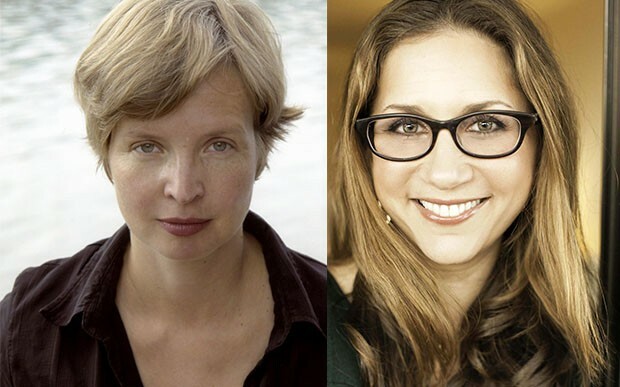 The End of Days by Jenny Erpenbeck wins the Independent Foreign Fiction Prize. 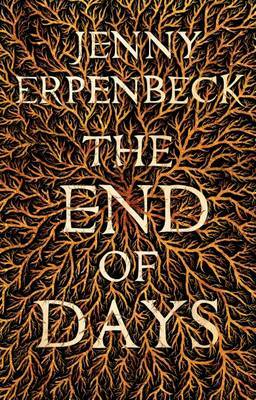 Jenny Erpenbeck, described by Michel Faber as ‘one of the finest, most exciting authors alive’ shares the £10,000 with her translator, Susan Bernofsky for the novel The End of Days. Erpenbeck was up against Haruki Murakami, Erwin Mortier, fellow German Daniel Kehlmann, Colombian Tomás González and Juan Tomás Ávila Laurel from Equatorial Guinea for the prestigious prize. Judge Boyd Tonkin said of the winner: "This is a novel to enjoy, to cherish, and to revisit many times. Into its brief span Jenny Erpenbeck packs a century of upheaval, always rooted in the chances and choices of one woman’s life. It is both written and translated with an almost uncanny beauty, which grows not out of historical abstractions but from the shocks and hopes of everyday life, and from our common quest for peace, home and love. Re-reading this jewel of a book, I came to feel as if both W. G. Sebald and Virginia Woolf would recognise a kindred spirit here." Author Jenny Erpenbeck and translator Susan Bernofsky. The End of Days is a story of the twentieth-century traced through the various possible lives of one woman. Moving from a small Galician town at the turn of the century, through pre-war Vienna and Stalin's Moscow to present-day Berlin, Erpenbeck homes in on the moments when life follows a particular branch and 'fate' suddenly emerges from the sly interplay between history, character and pure chance. Described by judge Antonia Lloyd Jones as ’a work of genius‘, it offers a unique view on twentieth-century history; a period with which many readers are already familiar. The Lord gave, and the Lord took away, her grandmother said to her at the edge of the grave. But that wasn’t right, because the Lord had taken away much more than had been there to start with, and everything her child might have become was now lying there at the bottom of the pit, waiting to be covered up. Three handfuls of dirt, and the little girl running off to school with her satchel on her back now lay there in the ground, her satchel bouncing up and down as she runs ever farther; three handfuls of dirt, and the ten-year-old playing the piano with pale fingers lay there; three handfuls, and the adolescent girl whose bright coppery hair men turn to stare at as she passes was interred; three handfuls tossed down into the grave, and now even the grown woman who would have come to her aid when she herself had begun to move slowly, taking some task out of her hands with the words: oh, Mother — she too was slowly being suffocated by the dirt falling into her mouth. Beneath three handfuls of dirt, an old woman lay there in the grave: a woman who herself had begun to move slowly, one to whom another young woman, or a son, at times might have said: oh, Mother — now she, too, was waiting to have dirt thrown on top of her until eventually the grave would be full again, in fact even a bit fuller than full, since after all the mound of earth on a grave is always round on top because of the body underneath, even if the body lies far below the surface where no one can see. The body of an infant that has died unexpectedly produces hardly any roundness at all. But really the mound ought to be as huge as the Alps, she thinks, even though she’s never seen the Alps with her own eyes.